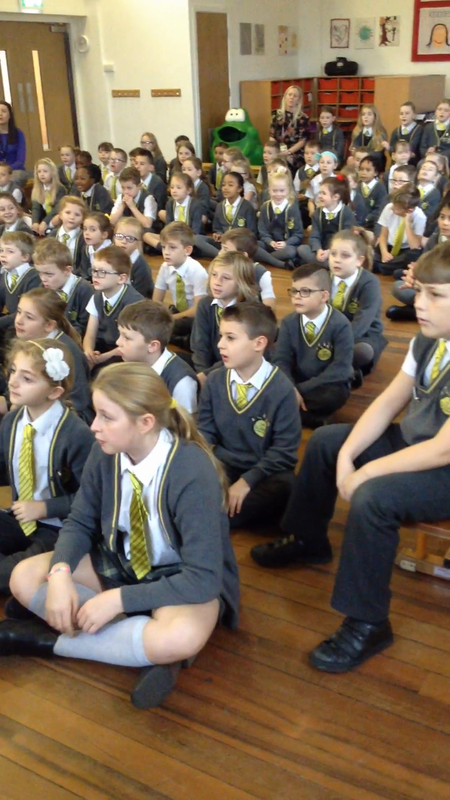 This morning, Father Kevin joined us for our Tuesday Worship in school. Mrs Lightfoot lit the candle and invited Alex to welcome everyone to worship. God loves me Whoopah! Wahay! Some of the children were eager to share their ideas! Amy - Be kind to everyone and if you are kind then they need to pass the kindness on. Ben - Make the world peaceful forever! Harry - Let children have free reign to make their own choices! Matthew - Everyone needs to do exercise to become fit and strong. Millie - Love your neighbour like you love yourself. Noah - Only use electric cars to ensure we are caring for our environment. Melissa - be kind to each other and never use fighting. Freya - to stop global warming by considering our choices. Ruby - Find what makes you happy and go ahead and do it! Father Kevin then told the children that there was once a King who banned football. The children were shocked by this message! He continued to explain that because the war was approaching, the people needed to practise their archery skills and they were neglecting this responsibility because they were too busy playing football. Father Kevin then welcomed Summer to be our Queen for the day. She thoroughly enjoyed wearing the crown even though it was slightly too big! All of the people were welcomed to join the Queen and she said that they had made her so happy because of their generosity. They had fed her when she was starving and clothed her when she didn't have anything to wear. They gave her a drink when she was thirsty and gave her love when she was lonely. The people were really confused and questioned when they had done this. She explained that when they were nice and helpful towards those who were less fortunate, she saw their kindness. Jesus taught us to be generous and to help those who are less fortunate. In Leigh, we often see people who are sitting on the streets or who cannot have what we have because they cannot afford it. We have special 'St john's Christian Eyes' and we know that we shouldn't only think about ourselves. We shared stories of generosity and buying poppies for people we may never meet, for those who we donate food to and those who we see in our local area. We ask you to guide us to make choices to help those who are less fortunate than us. We ask you to guide us on our journey and to bless everyone, no matter of their status or how much money they have. 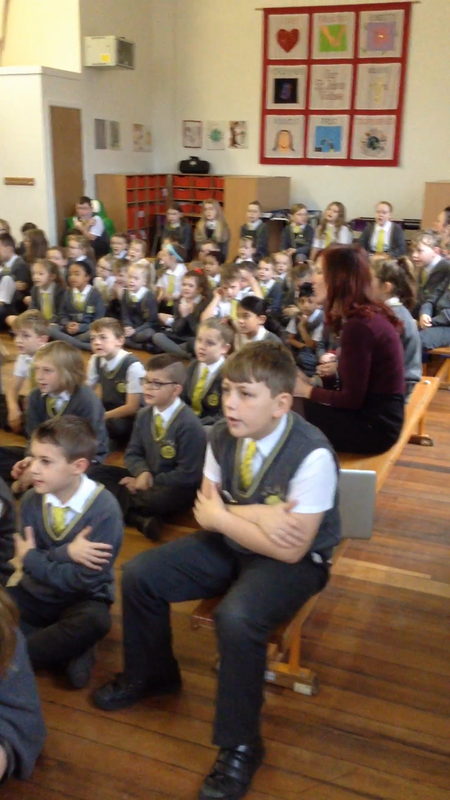 We finished our Worship with our song 'God's people aren't super brave, super-heroes'.